Good afternoon everyone! I hope you are all having a fabulous Easter Sunday! 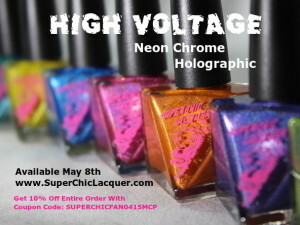 I am breaking out of the mold for Easter and rocking some crazy bright colors. 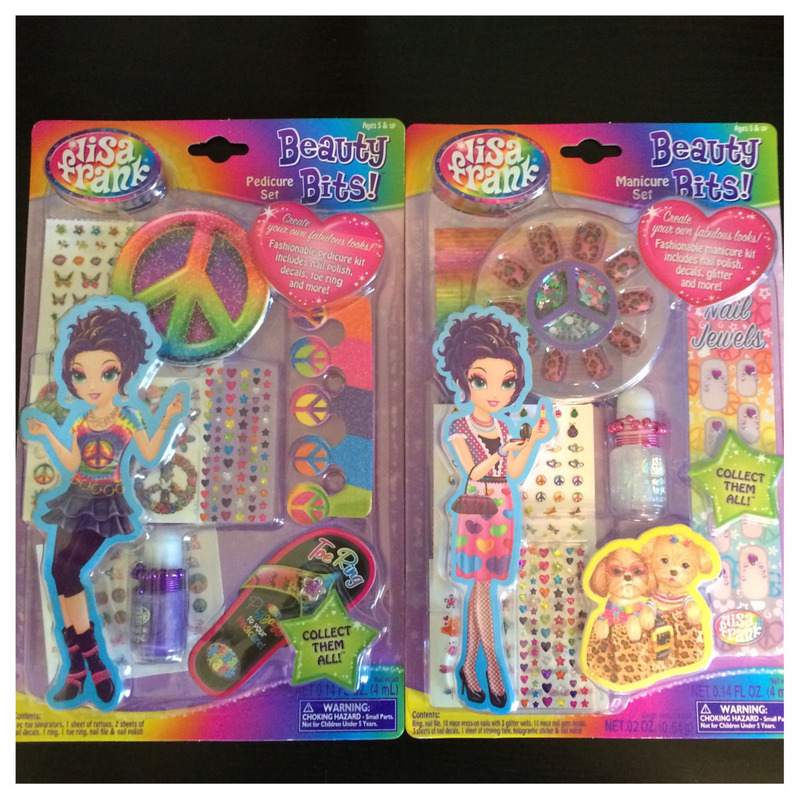 Week before last Lisa Frank had revealed polish kits and I immediately went on the hunt. 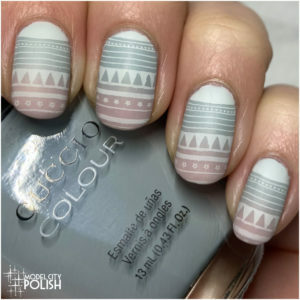 Lucky me after a few visits to various Dollar Generals I finally found some and today I am sharing a quick manicure with the Nail Polish Kit. 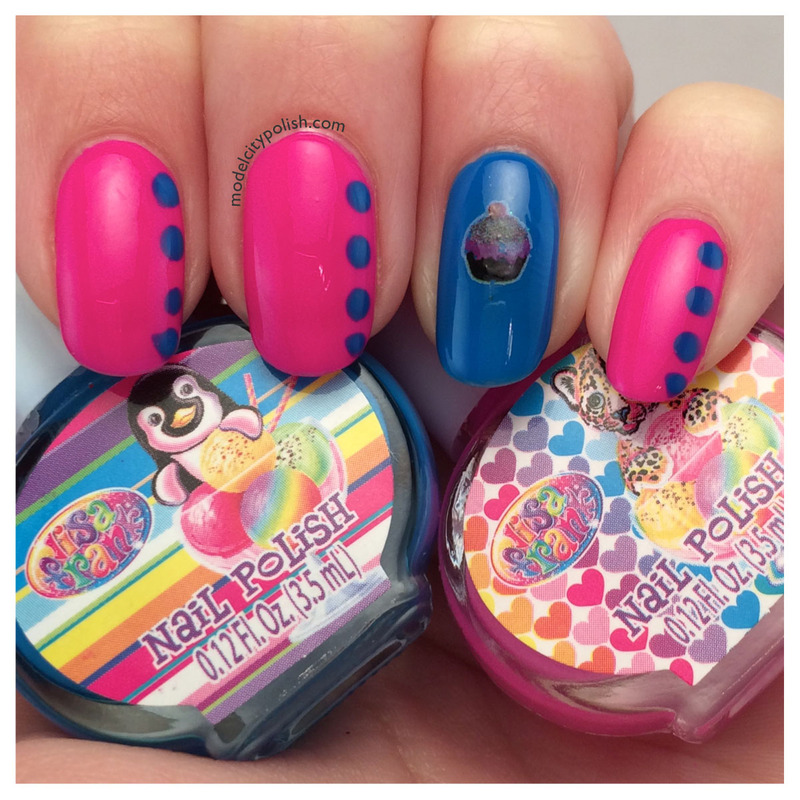 In the Lisa Frank Nail Polish Kit you get two mini bottles of water based polish, cute Lisa Frank water decals, loose glitter, and a Lisa Frank dotting tool. The polish was fairly easy to work with but it did look a little streaky so I used a coat of my HK Girl Top Coat to give it a glossy finish. Downside, shrinkage was insane after a few hours. 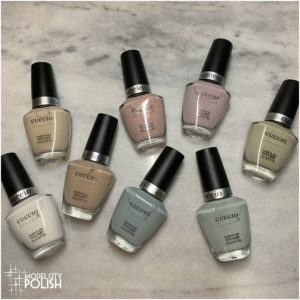 Clearly water based polish does not work so well with standard polish so heads up. The water base did dry extremely quick so that’s a big plus. 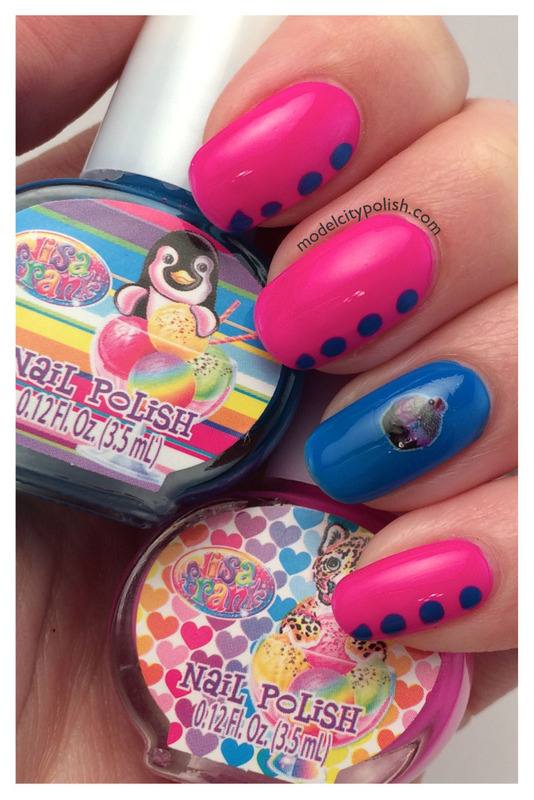 In my photos I am wearing three coats of the pink and an accent blue with three coats. 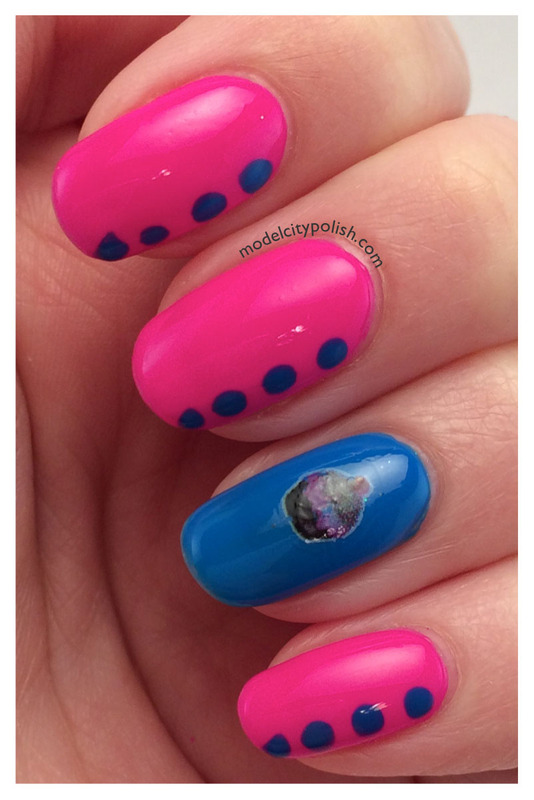 Then I used the super cute dotting tool to add some blue dots and on the accent nail a cute cupcake water decal. 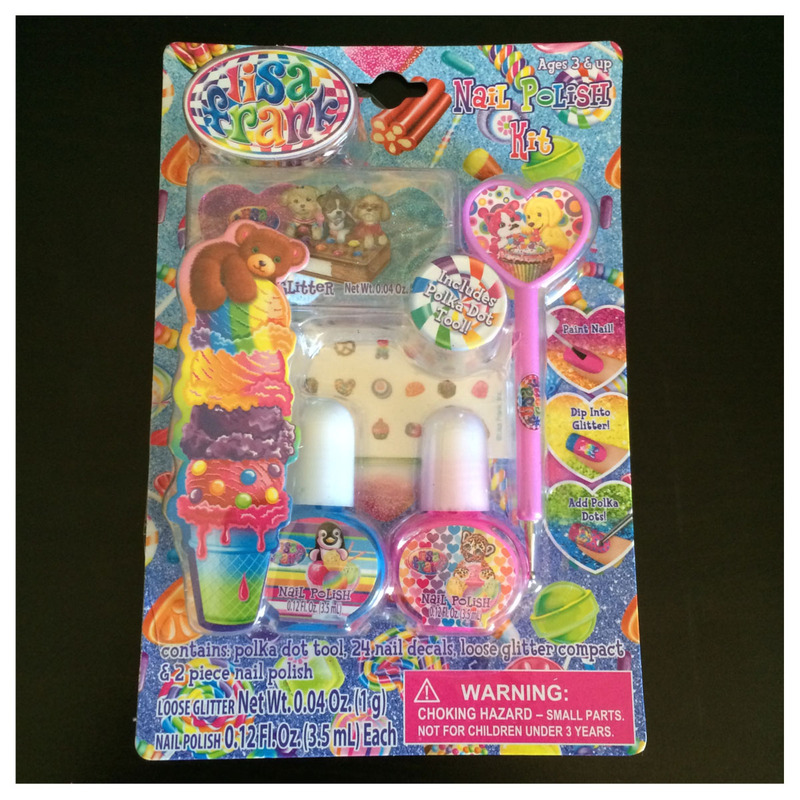 So what do you guys think of the Lisa Frank Nail Polish Kit? For $3 I am totally in love. I was a Lisa Frank kid so this is certainly a blast from my past. The Manicure Kits and Pedicure Kits run $4 each but you do get more nail art stuff and less polish. 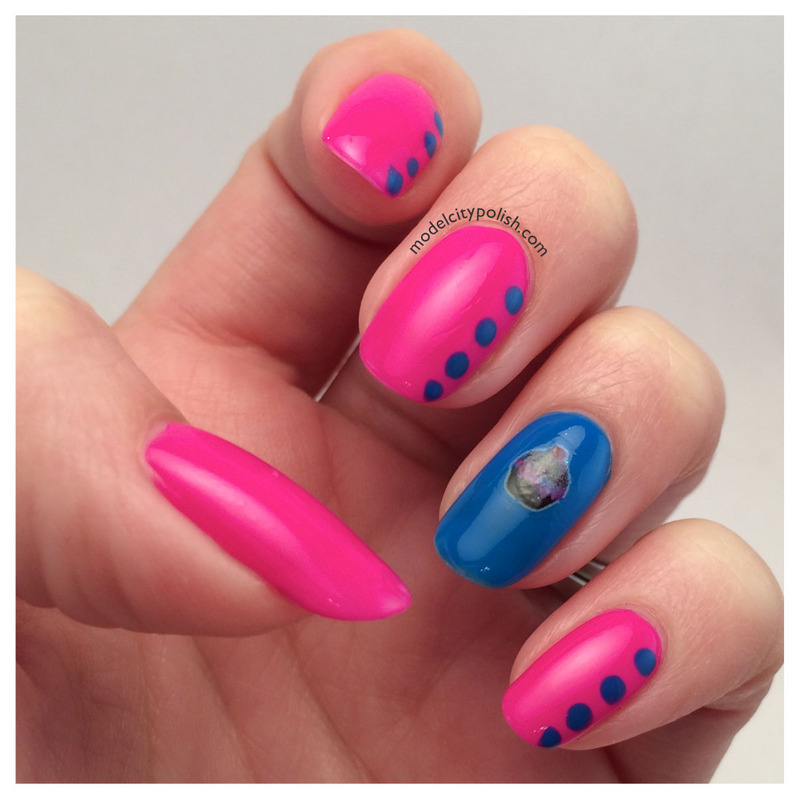 I love the bright pink and blue you used! That’s my ultimate favorite color combination. Those are the colors of my laboratory!